Calcium supplements can interfere with the action of certain high blood pressure medications, making them less effective at controlling blood pressure. In this case, the calcium isn’t actually causing your blood pressure to rise — it's stopping your medications from exerting their blood pressure lowering effects. These interactions are uncommon, and only affect a small number of high blood pressure medicines. 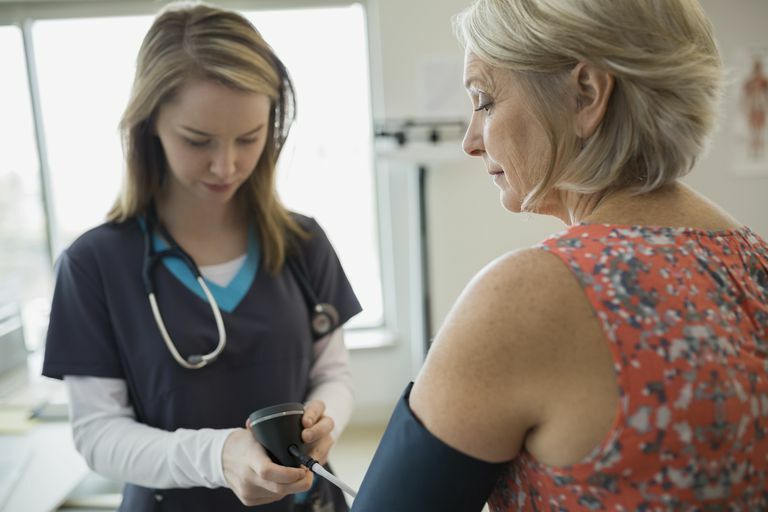 The two blood pressure lowering medications that are most likely to interact with calcium supplements are thiazide diuretics and calcium channel blockers. Here is how calcium supplements can interfere with those two types of medication. Thiazide diuretics work to lower your blood pressure by helping your kidneys get rid of excess water and sodium (rather than holding on to it). Lowering the volume of fluid in your bloodstream relieves some of the pressure, making it easier for your heart to pump. If you take calcium supplements while using a thiazide diuretic, the calcium can disrupt the diuretic's action on the kidneys, which in turn makes the drug less effective at lowering your blood pressure. In some cases, taking calcium while using a thiazide diuretic can lead to a condition called milk-alkali syndrome. In this syndrome, the calcium and the diuretic interact, causing the body to become less acidic than normal and dramatically raising the amount of calcium in the blood. This can not only change your blood pressure, but also cause serious problems like heart attack, acute kidney failure, and seizure. Take home message: If you use a thiazide diuretic, you should limit your intake of calcium to less than 1,500mg per day. Calcium channel blockers help lower blood pressure this way: they stop calcium from interacting with blood vessels, which lowers the blood vessel’s ability to tighten and ultimately leads to looser vessels and lower blood pressure. It makes sense, then, that calcium channel blockers can also be affected by calcium supplements. However, there's typically only a risk when you're getting extremely high levels of supplemented calcium (such as being given high doses of calcium through IV in a hospital). In this case, the interaction is very straightforward: very high levels of blood calcium can “out-compete” the drug’s ability to block the interaction between calcium and your blood vessels. There is so much calcium that the drug simply cannot block it all. When this happens, it can be quickly reversed by stopping the administration of calcium. Calcium supplements do not interfere with other common blood pressure medications like ACE inhibitors, beta blockers, or other types of diuretics. Still, you should always consult your doctor before beginning supplementation with any vitamin, mineral, or herbal product. How Does the Pheochromocytoma Tumor Impact High Blood Pressure? Is Your Birth Control Pill Making Your Blood Pressure Rise?